Why did he lose interest so fast? This is a common and painful question women over 40 ask as they look for love. Here are some answers to help you with understanding men. How Did He Lose Interest After the First Date? So I met a guy online through an online dating app. We hit it off immediately and before we had even met he was making plans with me to go out and do things. We would video chat, talk on the phone, and text constantly. We had our first date a week ago (Thursday) which I feel went pretty well. Like I said, we had so many plans and throughout our date he was talking about them constantly. It has now been a week since our date and he contacts me almost daily but its nothing like what it used to be. We don’t talk on the phone anymore and we hardly ever text, when we do he will simply stop replying after a while. I haven’t really initiated contact with him, maybe once or twice, but just to say hi. I am just wondering if you think he has lost interest in me, seeing as how he doesn’t talk to me nearly as much as he used to. What is your opinion? I’m trying not to worry about it but I really enjoyed my time with him and was looking forward to the plans we had made. Dating can be fun and exciting and also highly disappointing. That’s why I work so hard to help my clients spot the signs of a man who is likely to waste your time. Learning about the red flags will keep you from putting your hopes on the wrong guys and keep you free to find the right man for you. 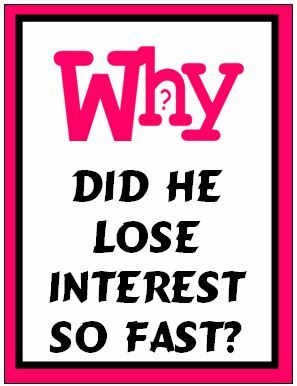 There are many possible answers to your question, “Why did he lose interest so fast?” I’ve provided 10 below but please don’t be put off by any of them. I will explain why in the next section. Men and women have many reasons to go out, meet new people and date. But often it has nothing to do with getting into a serious relationship. 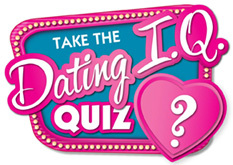 Some singles go on many first dates because they are looking for a certain type of person. Or they just want to an ego boost to build confidence. Sometimes people aren’t ready for anything serious but they enjoy meeting new people. You get the idea – it isn’t always about lasting love. As a single woman, you know you aren’t going to please every man, just like every date won’t work for you either. Yes you are looking for that special someone and most people will not be a match. But that is a part of dating and to be expected. So even though it seemed like you both had a good time, maybe he was looking for something else. Truth be told you can have a good time but still not want a second date. So don’t take it personally when you get rejected after just one date. I’ve listed 10 possible reasons but you can imagine how many more are could apply. The main point when you ask “Why did he lose interest so fast?” is that we need to define how interested he really was in the first place. That’s why I recommend not communicating a lot prior to meeting. I tell my clients to avoid long phone calls, constant texting and video chats. Why? Because that lulls you into thinking there is something really good happening. Women assign meaning to all the conversation and assume the man MUST really like them. Sadly, it actually means nothing. Some men love to talk about themselves or hear themselves talk. They like to flirt, are feeling lonely and want female attention. All that communication is fabulous for the ego. After a conversation with you he probably felt he could hit on any woman with success. It makes a man feel desired and viral. And for some men, it’s a great way to interact with multiple women without physically cheating. My dating advice is to text only a few times a day and never talk on the phone every night. You are a desirable woman who has places to go and people to see. You don’t want to let on you’re free every night waiting for his call. That doesn’t provide any mystery and men do like mystery. They want to feel like they are winning you over. Then when you do meet, you wait to see how long it takes for him to want more time with you, call and schedule another date. When a week or more goes by, that can be a sign he’s really not that interested after all. 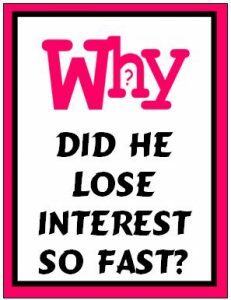 Since you had so much communication, you thought he was seriously interested which is why you asked, “Why did he lose interest so fast?” The fact that he is still in touch tells me he is connecting with a bunch of women to feed his ego. There are some men who do this which is why I advise not giving meaning lots of early communication. Making plans for the future before a man knows or meets you is a classic seduction technique. You are bound to like a guy who is already planning your future before he even meets you or during a first date right? It’s a way to guarantee you’re interest in him. Future plans only matter when you see a man consistently follow through with his ideas over time. The next time you meet a guy, text a few times a day, but don’t respond immediately every time. Have one 20-minute phone conversation and then set up a date to meet. Avoid over communicating and go out with other men while you wait to see if the first guy asks for a second or third date or disappears. This is how to keep yourself from getting so disappointed and how you’ll know better than to think a man is seriously interested just because he paid attention to you. 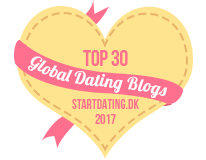 After a few more guys you’ll get better at spotting this red flag – the man who loves to talk and makes plans, but evaporates after a first date. Or worse the man who will text and talk for months without ever meeting you. Should I Text Him Again? We had Such Fun Conversations!